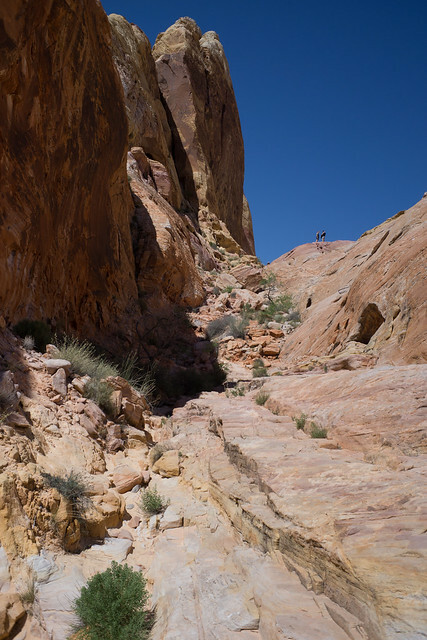 With a single crutch, I climbed downhill to reach Slot Canyon. I have lots of fears going downhill on a single crutch. I couldn't help myself thinking the unthinkable that I hurt my other knee or re-injured myself. Every passerby asked if I were okay. As usual, my family thought I couldn't not make it when we saw the downhill and I left my crutches on the car. They went along without me and I trekked back through the sandy path to the parking lot. It was windy and I was drummed in frustration in forgetting my crutches. 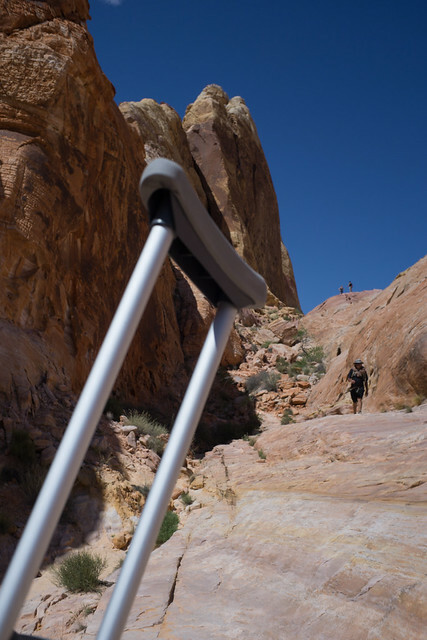 And it turns out that I still need my crutches in hiking on uneven surfaces and I can't go downhill on my injured right knee with ACL reconstruction from cadaver. The wind gust reached 40 mph at times, I retracted back to my car to get my crutch and off I went slowly down the hill on single crutch and hiked alone. I later took off my sandal with Crocs and walked down bare feet as my Crocs didn't do well on the sandy rocks. 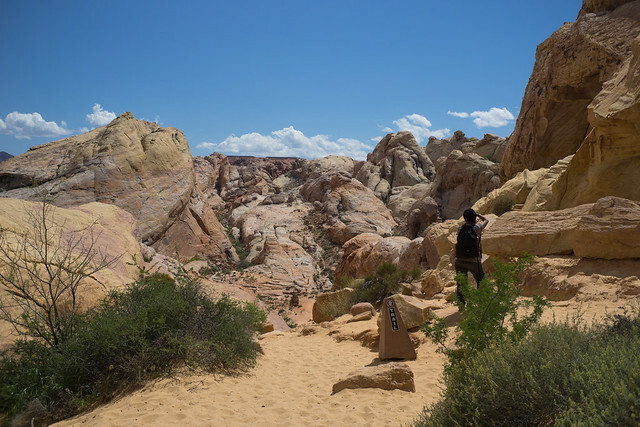 When I got to Slot Canyon, I was rewarded with lots of pictures and met a few friends. My family were lost with me way ahead of me thinking that I retrieved to my car for a nap. But I was there slowly inching my way down the hill and walked through most interesting part of the canyon bare footed. My fears are drowned in the perfect of love.